#68/1, Maragondanahalli Village, Hulimangala Main Road, Electronic City-I, Bengaluru - 560100, Karnataka, India. 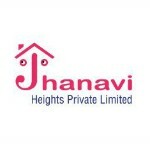 Jhanavi Heights Pvt Ltd is a construction company, led by a team of highly proficient professionals, with outstanding managerial acumen and cumulative experience in real estate & construction segment. From a humble in the year 2010 today we have grown to become one of the most trusted and preferred construction company. We have set high benchmark in the industry through quality construction, privileged locations, thoughtfully designed architecture and transparency. Our works render the versatility of quintessential professionalism. Every pick is a touchstone of the expert team, who revive around perfection and more perfection. There are creative minds, think tanks, bandwagons and enthusiasts who define the standards.